Team — Educate from the Heart, Inc. Educate from the Heart, Inc. Dedicated experts with a proven record of success, passion and commitment. We have a team of around 30 Certified Montessori teachers that act and have acted as volunteers at different stages of our project. Renee Ibañez, Montessori Curriculum Advisor & Trainer. Ms. Reneé has been leading the team of Montessori teacher volunteers at Educate from the Heart, Inc. since our inception. She excitedly joined as soon as we shared with her our vision and the impact that we want to make in the world. Ms. Reneé is strongly committed and passionate about children, and the power that a transformational education and unconditional loving have to make the world a better place. She has contributed to Educate from the Heart, Inc. in countless ways, by giving all her free time to advise us and help us shape our training program and curriculum, discuss research, incorporate materials and co-lead the production team of our proprietary teaching program, as well as provide on-line and on-site training to our different childcare centers. Ms. Reneé is a Montessori Pre-School Teacher (3-6) at Montessori Academy of Broward, where she has been a lead teacher for almost ten years. She is a Certified Montessori Teacher Elementary I according to MACTE standards. She actively participates in transformational leadership courses and she is fully fluent in Spanish and English. Dr. Rivera is the Executive Director and founder of Educate from the Heart, Inc. She was deeply impacted by how powerful and transformational the Montessori Method is, and was moved by the fact that less than 10% of world-wide Montessori schools are public, leaving this incredible education reserved almost exclusively to wealthy children. Her quest, over the years at Educate from the Heart has been to use her knowledge and expertise as both an entrepreneur and an educator to design and implement a blended model of Montessori training that allows for teachers at low-income centers around the world to have access to top-quality training and materials to implement Montessori and transformational methodologies at their centers. Dr. Rivera has more than 25 years of professional experience advising corporations and teaching top executives strategic and transformational leadership. She has been a consultant with McKinsey & Co, has lectured for over 15 years in top universities in Colombia, USA, China, Russia and Singapore and has trained executives across industries in top global companies such as Microsoft, Delta, United Nations, Pfizer, Medtronics, AT&T, Siemens, to name a few. Dr. Rivera has been working on Transformational Leadership for more than 15 years, and what started as a personal inquiry into self-leadership and transformation, turned into the main focus of her impact in the world: by transforming people the lives, families, corporations and countries in which they exist, shift into new realities, and higher levels of performance, results and flourishing are achieved. In her books, research, conferences, courses and workshops, Dr. Rivera poses an invitation to examine existing mind frameworks, look through different lenses and challenge existing beliefs, and generate leadership from within. Dr. Rivera is an Industrial Engineer with an MBA from Harvard Business School and an Ed.D in Transformational Leadership. Her research explores at depth the application of transformational leadership to parenting and teaching, a topic that she has presented at multiple international conferences around the world. Yesenia is an active volunteer, Trustee and legal counsel at Educate from the Heart, Inc. She has been involved for many years with non-profits that bring social transformation to low income communities and children, and has found at Educate from the Heart an inspiration to create new futures to children in Latin America and eventually all over the world. 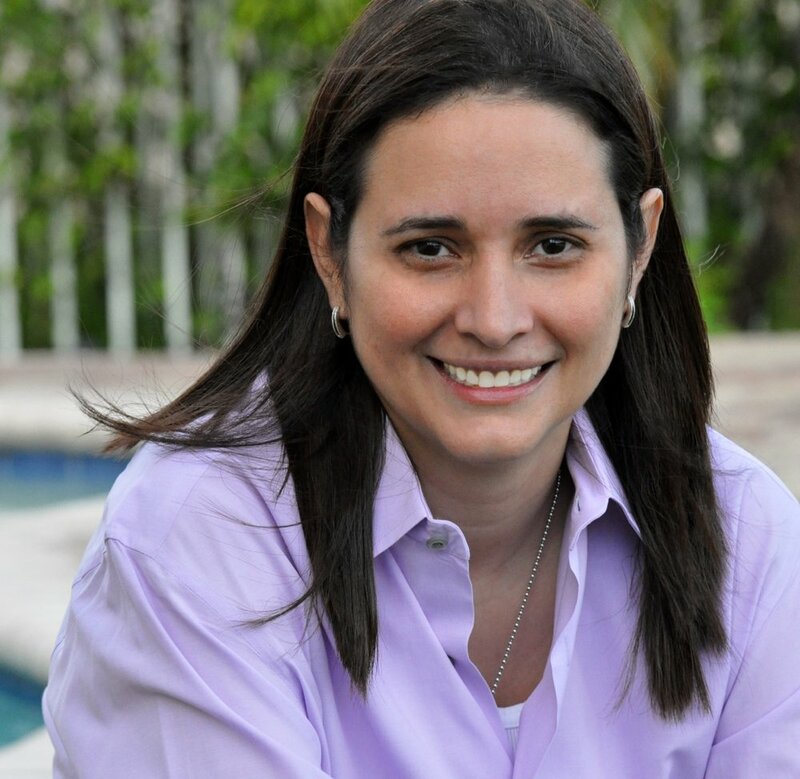 Yesenia has law degrees from Universidad Mariscal de Ayacucho in Venezuela and St. Thomas University in Miami, FL, an Immigration Associate Degree from Miami University and Tax Law Certification from St. Thomas University. Yesenia is a Veteran of the United States Armed Forces, she joined the United States Army as Active Duty Specialist and was a flute player at the 282 United States Army Band located in Ft. Jackson, SC. Daniela is the Social Media Coordinator at Liebherr and the co-Founder and Digital Marketing Manager at Miami Digital Hub. With 8 years of experience in Marketing and Sales in business as Food & Beberages and Luxury Beauty products for the different companies like Pepsi Co., McDonald's Corporation and L'Oréal. Daniela is an active volunteer and Trustee at Educate from the Heart, Inc. and she has guided our Digital Marketing Strategy with her passion and conviction of the transformational nature of Montessori education and her commitment to supporting the children that we impact. Daniel is an Industrial Engineer with an MBA with concentration in Marketing and 14 years of experience in the areas of marketing and sales within various industries such as tobacco, cosmetics, and airlines. He served as Country Manager of the Venezuelan Airline SBA Airlines and Commercial Director & Country Manager of PAWA Dominicana Airline and is the 2nd Vice President of the Venezuelan-American Chamber of Commerce (VAAC) for the second consecutive year, assisting Venezuelan businessmen to establish their businesses in the USA and to encourage their relationship. His belief in providing children top-quality education and impacting the lives of low-income children in Latin America, makes him a passionate Trustee at Educate from the Heart, Inc.
Pablo Ignacio is an industrial engineer, marketing specialist, certified facilitator in LSP Lego Serious Play and project manager. He has 14 years of experience in design, development, launch and sale of products and services. He has knowledge in sensory marketing, innovation, creativity and human development. Pablo is committed to a better world, passionate about children and education and willing to work with us in taking out program to many low-income communities around the world. Registrate para recibir noticias nuestras.